Kids obviously love dinosaurs, but here's a secret: most adults do too. It's just that as you grow older it becomes less socially acceptable to wear T-rex PJs to bed. But that doesn't mean you can't indulge your dino love elsewhere. 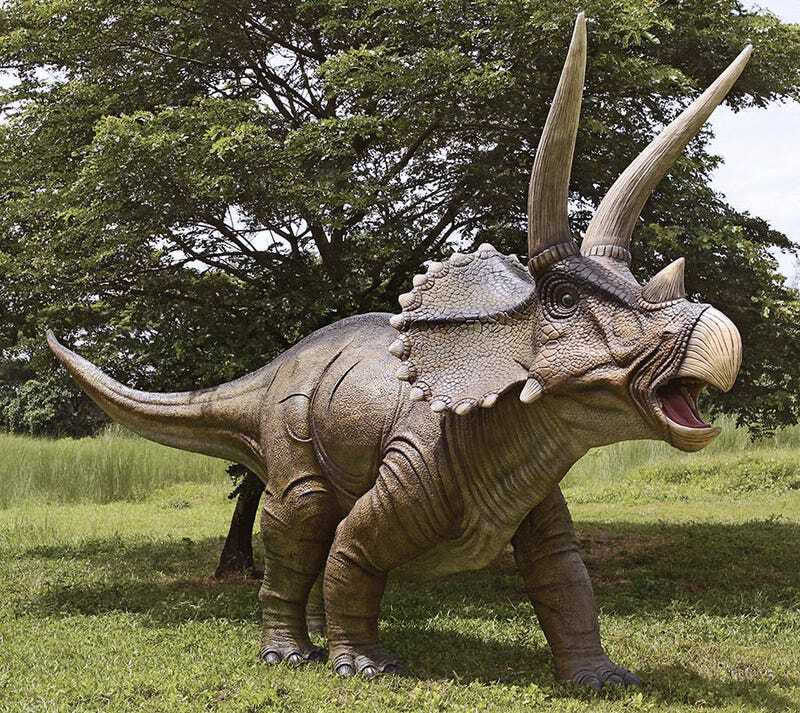 In fact, what garden wouldn't be instantly improved with a 20-foot long Triceratops guarding your Begonias?